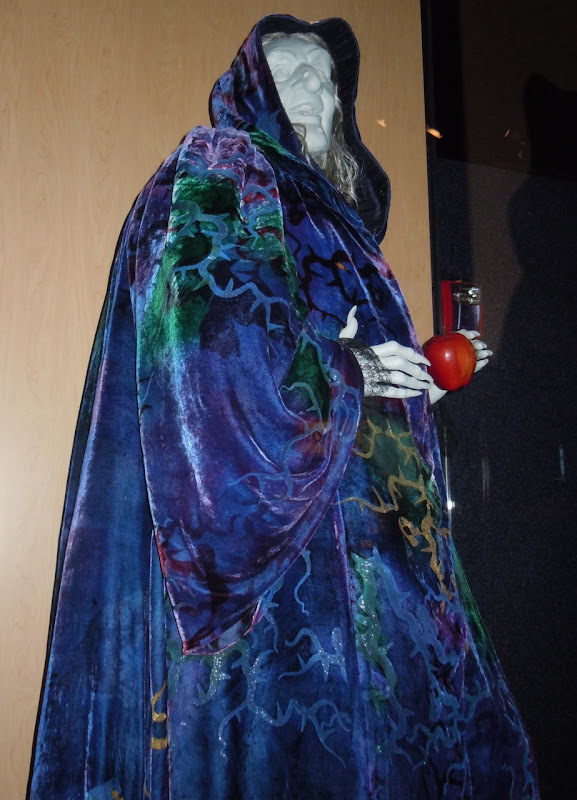 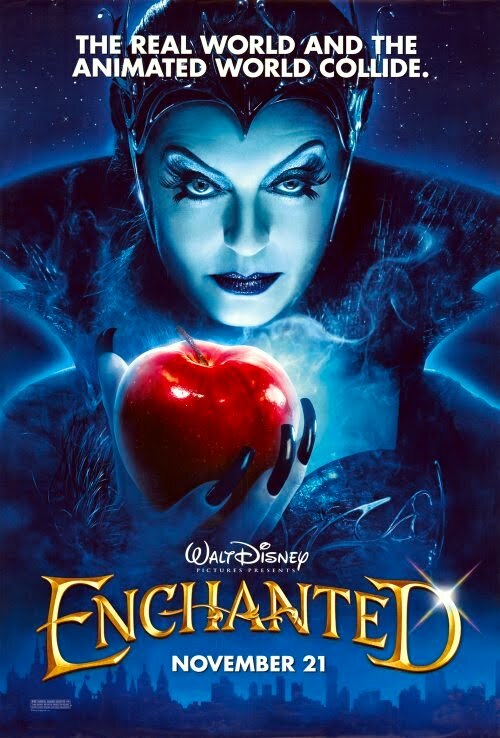 In Disney's Enchanted, Susan Sarandon plays the duplicitous 'Queen Narissa' and transforms into this 'Hag' character in order to tempt the heroine, 'Giselle', with a traditional poisoned apple. 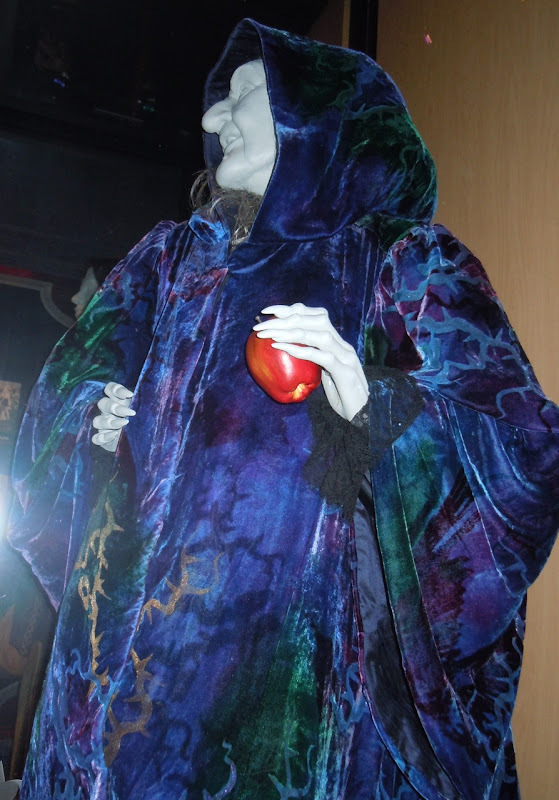 This costume is a real homage to the old woman (herself the disguised Queen) from Disney classic, Snow White, who tried the same tactics with a deadly apple. 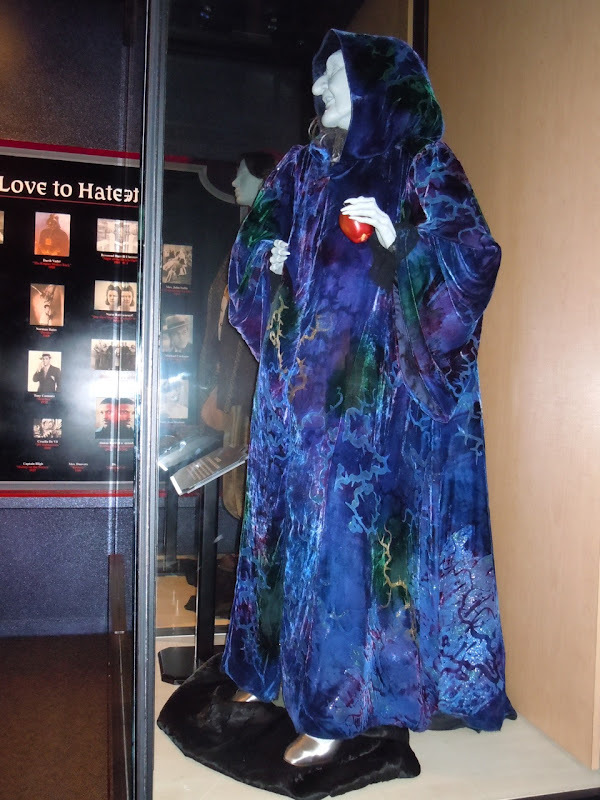 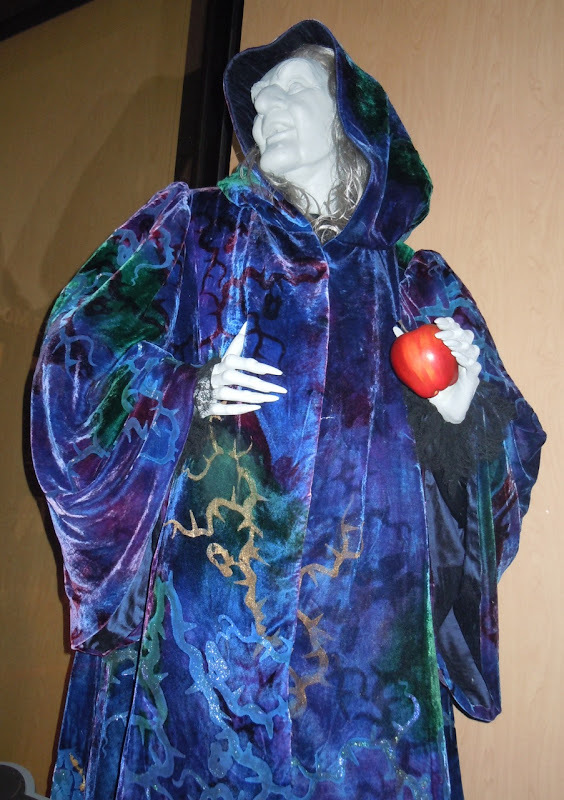 Costume Designer Mona May based this 'live-action' costume on the cloak the disguised Narissa wears in the film's animated opening sequence, when the wicked witch pushes Giselle into a magic portal which transports her to the human world of New York City. 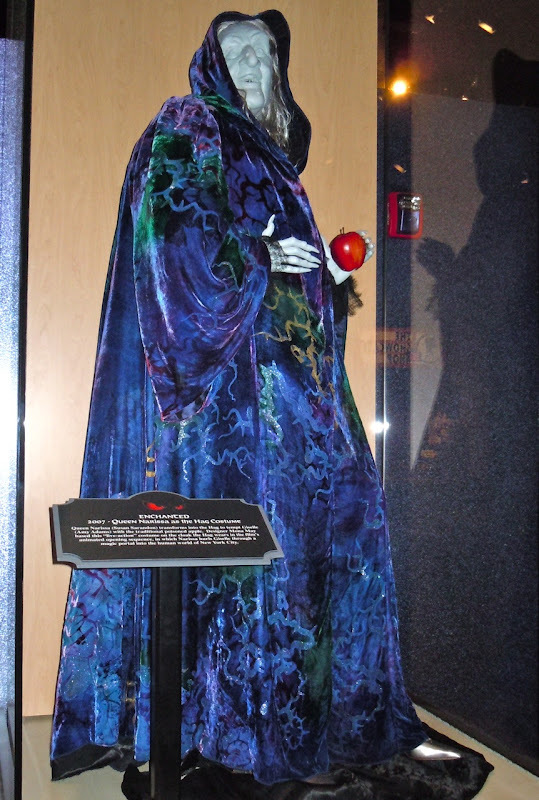 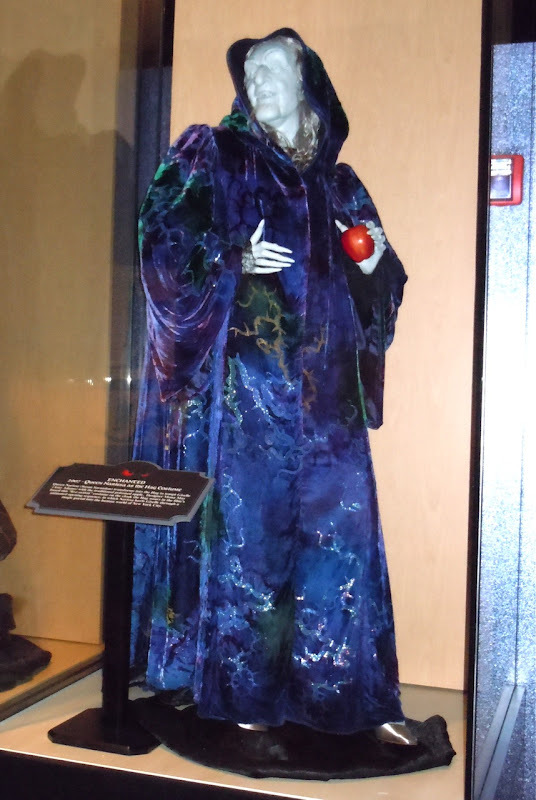 This costume was on display alongside Susan Sarandon's other Queen Narissa costume from Enchanted within The American Film Institute's movie villain showcase at Disney's Hollywood Studios in Orlando, Florida on September 22, 2010.